Welcome to the Altapass Baptist Church website. We are very glad to have you visit us online. Please allow me to take this opportunity to extend an invitation to you and your family to come and join in our services where we strive to worship in spirit and in truth according to John 4:24. Our desire is to be a place to find help for a helpless situation, find hope when all seems hopeless, and certainly a place for lost souls in desperation to come to Jesus for Salvation. 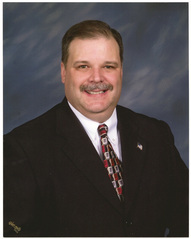 As Senior Pastor, I want to personally thank you for stopping in at altapassbaptistchurch.org. My hope and prayer is that this website will be a blessing to all who visit it. Altapass Baptist Church is a place where you will hear the Gospel of the Lord Jesus Christ preached and the Scriptures rightly divided. Because of this we have seen God transform lives and discover the joy of serving Him. Our church family is made up of a group of loving, caring people whose desire is to glorify and bring honor to the Lord. Our church uses, recognizes, and affirms the King James Bible as the preserved Word of God. We believe the Bible to be the infallible Word of God and the final authority for all mankind. It is through the Word of God that we can find instruction for our lives and discover that there is indeed hope in Jesus Christ. Altapass Baptist Church called me as their Senior Pastor on October 9th of 2011. It has been and continues to be a great honor to be called preacher Marcus by these fine folks here at Altapass. Here at Altapass we strive to be a place that Exalts the Savior, Encourages the Saint, and Evangelizes the Sinner. Pray for us as we seek to Glorify His great name. We are excited as we attempt to follow the leadership of our Lord into the future as we strive to reach people of all ages; however we are trying to put tremendous emphasis on our Youth program as we realize our youth are the Church of Tomorrow! Again, we invite you to come and get to know us better. We look forward to meeting you and hope that we can be a blessing. Thank you for your time and may the Lord richly bless you is our sincere desire and prayer for you today and always.